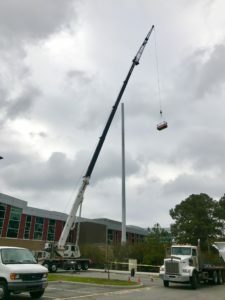 Crofton Crane Rental & Rigging maintains a premium hydraulic crane rental fleet ranging from carry decks and boom trucks to hydraulic truck, rough terrain, and all terrain cranes. Our diverse fleet services all areas of Hampton Roads (Portsmouth, Norfolk, Chesapeake, Suffolk, Virginia Beach, Hampton, and Newport News) and extends up to Williamsburg and Petersburg, westward into Emporia, and all the way down to north east North Carolina. 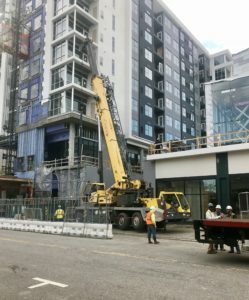 Our hydraulic crane rental services offer fully operated and maintained or bare rental, long-term or day rental, rigging services, permitting, crane plans, and/or load tests. We can also provide spreader bars and crane mats. Whether it’s an HVAC unit or non-containerized cargo, residential construction or structural demolition, steel erection or vessel decommissioning–we’ve got the equipment and the experience for the job. We know that emergencies can’t wait until the next business day. That’s why we’ve been responding 24/7, since 1949. Our cranes are third party inspected and regularly serviced and maintained–ready for anything at any time. All operators are CDL licensed, VDOT medically certified, NCCCO certified and maintain DBID, TWIC cards, and other various access credentials that provide clearance to all local government installations and privately owned highly sensitive facilities. 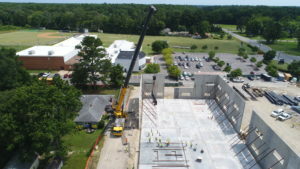 Crofton also provides in house OSHA training, Rigger 1 & 2 training, and Signal Person training. Want to see more? View our entire fleet of rental equipment here.